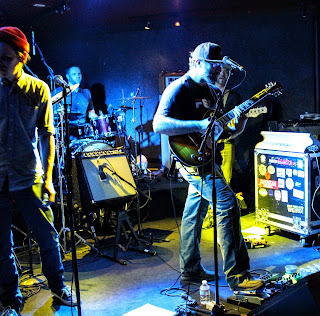 The level of entertainment at Crystal Bay Casino was off the charts last Friday night when funk-afrobeat experts Polyrhythmics played nearly three hours of newer originals to a motley crew at the kitschy North Lake Tahoe establishment. 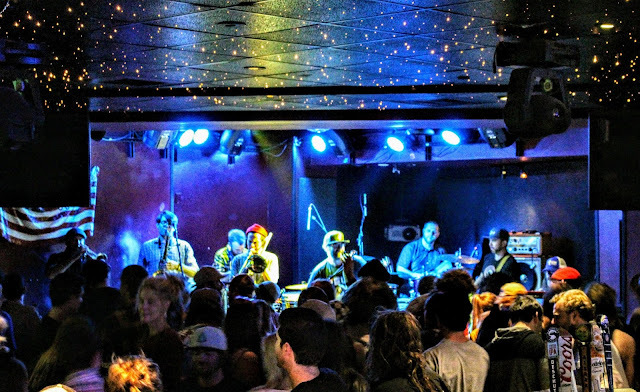 Talking to locals around Tahoe that weekend, it became apparent that Crystal Bay Casino (or the “CBC,” if you want to sound like an insider) is the official hotspot for music and nightlife. Shortly before Polyrhythmics took the stage in the Red Room, guitarist Ben Bloom pointed out some of the dozens of crystals and geodes hiding in plain sight around the main slots area. The large rocks are easy to miss among the flashing colored lights of the slot machines, but the combination of all the stimuli here somehow amplifies the crystals’ magic. This place is fantastic. The Red Room was nearly empty until moments before the first song, at which point the regulars quickly filed in under the low black drop ceiling with red-orange-yellow sparkling lights and expanded to fill up the dance floor. Ski bums, hippies, retirees, gamblers, vacationers, and your run-of-the-mill townies all mixed together in an enthusiastic group, many of whom were clearly familiar with the Seattle band’s music. 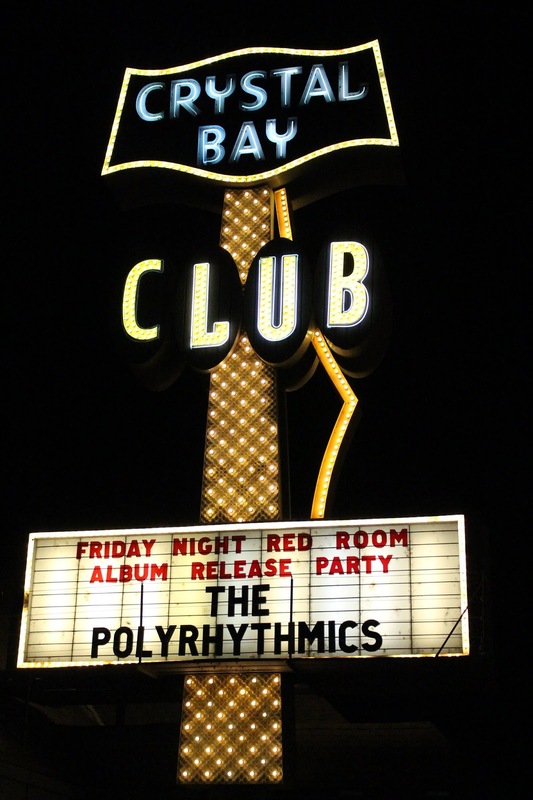 Polyrhythmics’ sound potential is much bigger than the CBC’s Red Room, but the band, with a solid assist from sound man Stuart Jackson, used the small space to connect with each other and the audience. The eight-member group, who has played this venue multiple times, seemed to enjoy this environment as much as the crowd. The first set was filled almost entirely with songs from the band’s last two albums, Caldera and Octagon, which are quite polished on the studio versions but delightfully dirtier played live. The Caldera songs, including “Compound 49,” “Goldie’s Road,” and “Marshmallow Man” edge just slightly toward new territory, keeping the sound fresh but not straying from the band’s original sound. During “Vodka for my Goat,” the crowd effectively laughed and doubled-down on their dance moves when the music shifted to Tears for Fears’ “Everybody Wants to Rule the World.” The set finished with the Polyrhythmics’ classic “Labrador,” allowing new percussionist Karl Olson to show he can dig deep into the Polys’ catalog, complemented by band veteran Grant Schroff (a.k.a. “Champagne Bubblebath”) on the drum kit. These two, along with Nathan Spicer on keys and Jason Gray on electric bass, seem to rarely get even one measure of rest in any given song. After the set break, which was exactly long enough to lose ten dollars on slots, Polyrhythmics treated us to several songs from the Libra Stripes album, all of which are made up of varying proportions of ‘70s funk, afrobeat and latin rhythms. (Actually the first song, “Moon Cabbage,” also had a coincidental fire alarm, which was ignored by everyone.) 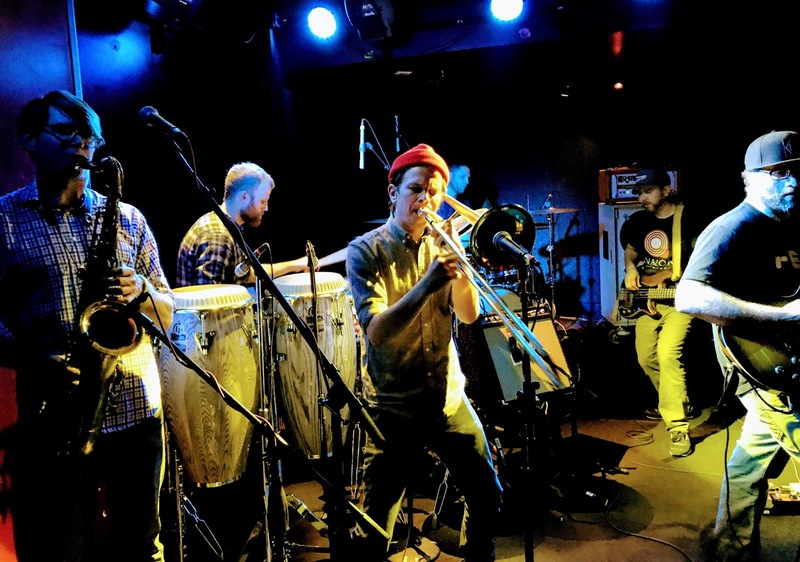 These are the songs on which the horn section (Art Brown on saxophone and flute, Elijah Clark on trombone, and Scott Morning on trumpet) really shone as a group. Farther into the set, we saw Bloom and Jason Gray nimbly locking guitar riffs and bass lines on “Au Jus,” one of the standout tracks on Caldera. 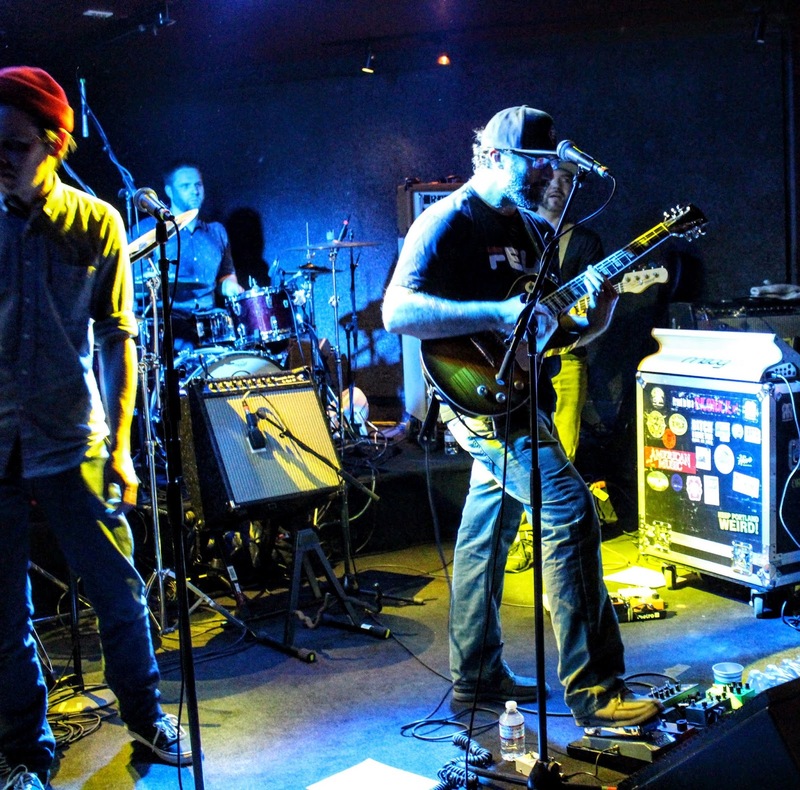 Across both sets, each band member took multiple solos peppered throughout the night’s selections; with a few exceptions, most of the songs appear to belong to all members of the group equally, and they all step up to take ownership. Maybe it was the excitement of being so close to the tour finish line (their final show of the year was the following night in San Francisco), but having been on the road for much of the autumn and early winter did not seem to dampen Polyrhythmics’ performance. Or maybe it was the casino’s crystals. In any case, the Polys put on a great show. Watch for more tour dates in 2018.